…..The problem is that student has turned into my daughter and I have had a paradigm shift (a huge one). Its amazing how these shifts happen when you can closely relate too the problem. Let me introduce you to Izzy. Izzy is one of the most enthusiastic, funny, entertaining and joyful kid you will ever meet; unless she is having a melt down. It feels like I am in constant Jekyll and Hyde movie. One day she is amazing and the next its a melt down. Izzy hasn’t always been like this and yes she is five and still learning social skills but these melt downs are a lot different than normal. Now you may be thinking why am I writing this post and no it is not to vent and get some thoughts out (though this is quite therapeutic). Because of Izzy my partner and I have been doing a lot of reading and thinking. Lately I picked up a book called “The Explosive Child” by Dr. Rosse Green. 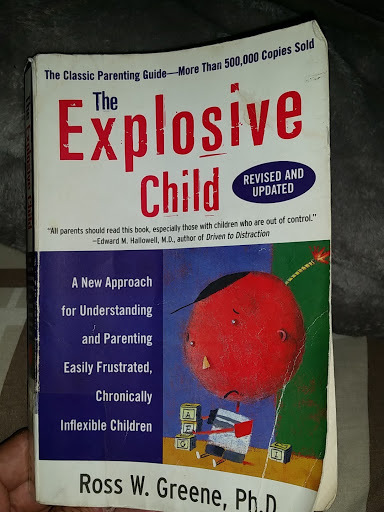 I will admit that I am only a third of the way through this book but it has already changed my thinking about dealing with children that have these explosive tendencies. When we first had to deal with Izzy we dealt with her as I did most of my students, hard nose and draw the line. I mean it worked quite well for the most part with many students in my classroom. It is also what most parents and our own told us. Be firm, she just needs to know where the line is. This of course would pretty much work in the classroom. I mean occasionally, I would have blow-ups or there was always that one student but I chalked that up for being those rare occasions where you get that student. I never thought that it was me or what I was doing; until Izzy. Of course this hard nose approach didn’t work with my daughter and it ended up making it worse. We had more severe blow ups and it just ended up making my partner and I more and more frustrated. Reading this book as made me see that my daughter has a problem with thinking and communicating when in highly frustrating situations. Now you may all think don’t we all and that statement is true but we also have learned adaptive skills to help us cope and these particular students have not. I mean when I first heard this I too had my doubts, as far as I know there is no real diagnosis for this but seeing this first hand makes me want to bring this more to the attention of others. As I am reading this book I cannot help but think that my own classroom management strategies have been misguided. I have always felt that a firm hand is needed for most if not all students. Draw a line that students know where it is and you won’t have problems. To be honest this works for most kids but what about the ones that it doesn’t. What about Izzy? I have seen the impact it has on her. She doesn’t like school anymore (yr 1). She had a hard time making friends. The teachers (bless there hearts) where drained and tired (as we were as parents). It was a tough go for her as I am sure it is for many. Now it is important to note that Dr Greene mentions that if all is fine then normal classroom management and parental skills still work and will work. But when you have many unsolved problems and run into walls it is time to rethink, for both you and the child. 2) Collaborative Problem Solving: Where you work with the child to solve problems together. This is the one that he recommends and the one that to be honest has had the greatest impact. 3) Dropping some expectations so that you can work on the important ones. This strategy has been working at times but it is a strategy that we use to get to the bigger problems and deal with them in a collaborative way. 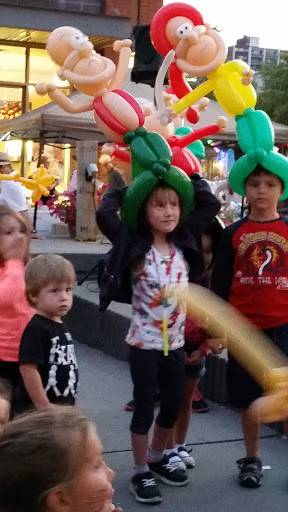 I am only writing this post because I cannot help but think and fear how Izzy is going to do in her school life. She has already had a rough first year and not at the fault of the teachers she had. We have had amazing teachers who have only had Izzy’s best interest at heart. I mean Jen and I do too but we still have our difficulties and we still struggle with dealing with her. We all have these kids in our classrooms and many of us may feel just as helpless as my wife and I.
Hopefully this post may shift some thinking for you and if it does I would recommend that you read this book. It isn’t just about parenting but also has many connections to our teaching and classroom management. Any thoughts feel free to leave them here, love to read them. Author MrSoClassroomPosted on August 25, 2015 May 7, 2016 Categories UncategorizedLeave a comment on That chaotic student….